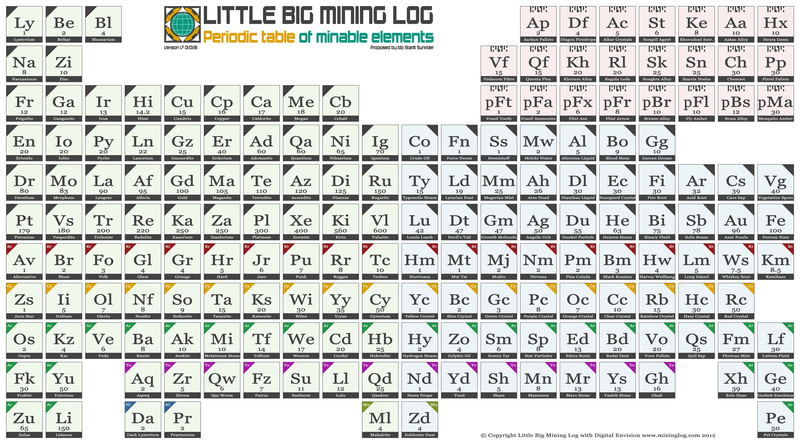 Welcome to the periodic table of minable materials. This is our attempt to categorize and abbreviate all the elements found underground. Visit our forum for comments and discussion.